Lie detector. 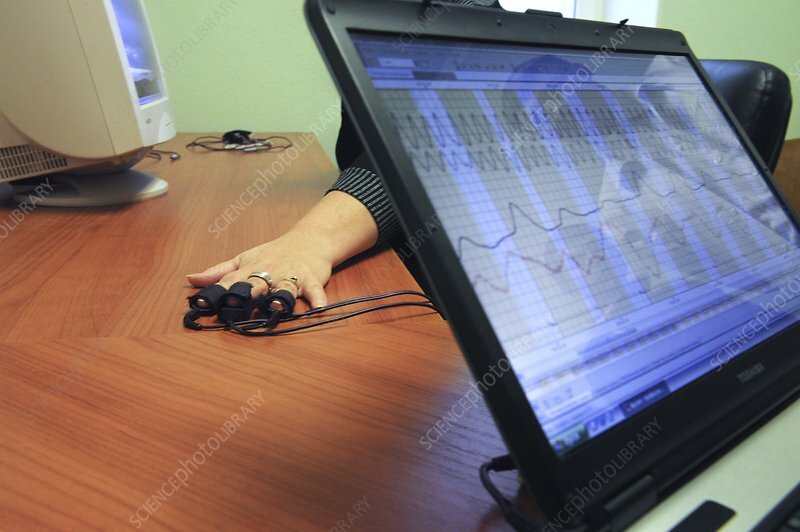 Read-out screen of a polygraph, commonly known as a lie detector. Such devices measure a variety of physiological parameters such as heart rate, blood pressure, temperature and sweating to determine whether or not a test subject is feeling stress. The pattern of such stresses is thought to be related to whether or not they are lying in response to a question. Photographed at the Serbsky Scientific Centre for Social and Forensic Psychiatry in Moscow, Russia.